Successful businesses have a clear, undeniable perspective, regardless of how they market themselves. Apple and LEGO have turned brand clarity into an art form, paving the way for emerging brands like Warby-Parker and Casper. What do they all have in common? Their brand identity is consistent, clear, and front and center. It’s what drives every decision, big or small. This focus on brand clarity is one every business should embrace. Knowing your strengths, having a finely honed brand statement, and understanding your target audiences acts as a roadmap, no matter how young or old your business. Not only do these pillars help define your business’s identity, they also provide clarity to employees and help to establish company culture. It’s never too late to build a strong brand identity. Here are five steps to get started. Where does your business stand in the marketplace? The competitive landscape can change frequently and rapidly while you’re busy running the day-to-day. Regular brand and competitor audits are critical for understanding your future strategy. An in-depth competitor analysis – including a review of competitor websites, search engine optimization, brand identities and advertising – informs who you will compete with for market share, how to differentiate, and what strategies to employ. For any branding effort to be successful, a company must first identify its core philosophies, such as its mission statement and values. It’s also important to determine your brand’s value proposition and differentiators to the consumer. This is the foundation of building a brand that truly represents your organization to the public. There are several ways to arrive at these strategy cornerstones. Many companies hire professionals to gather intelligence from all stakeholders – internal and external – to analyze feedback and create descriptive messages but this can also be done with an internal team. Once the messaging and value propositions are identified, revisit them annually to ensure continued relevancy. The next step is to create or revisit the look, feel, and voice of the brand that will be carried through all marketing channels. This should be distinctive and resonate with your customers while also providing a consistent look that is true to your company’s values. A brand identity is built over time. You must implement several strategies to help grow brand awareness and strengthen the brand. 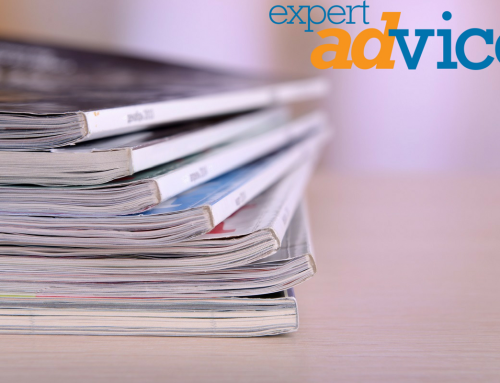 From print advertising to PR to online marketing these strategies ultimately become the framework of your marketing plan and can be measured and analyzed for effectiveness. Make sure your website and other properties match the brand’s goals and are consistent in their messaging and look. Also, ensure your website is mobile and search friendly, loads quickly, and has clear contact information for visitors. While it is crucial for a brand to establish an intrinsic value to the consumer, it does not mean it shouldn’t change and adapt over time. Companies must routinely analyze and refine their brand to ensure it’s delivering on the promises of what the company stands for and is ahead of the competition. These five steps can be revisited frequently and serve as touchpoints for your brand. Melissa Macchiavelli is Director of Marketing & Communications for MECU, Baltimore’s Credit Union. Link to LinkedIn profile.